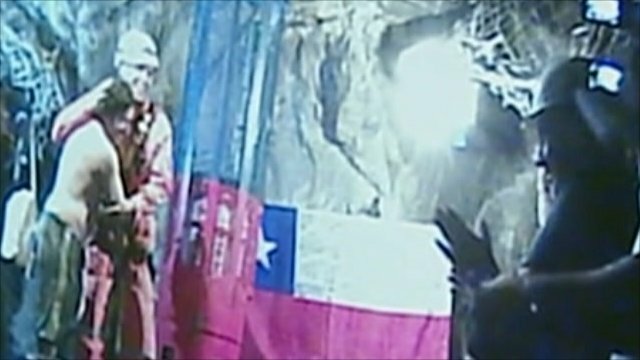 Last of 33 miners rescued in Chile Jump to media player Luis Urzua, the last of the 33 miners trapped underground at the San Jose mine in Chile, reaches the surface. First rescuer reaches mine Jump to media player The first of the 33 Chilean miners trapped underground has reached the surface. 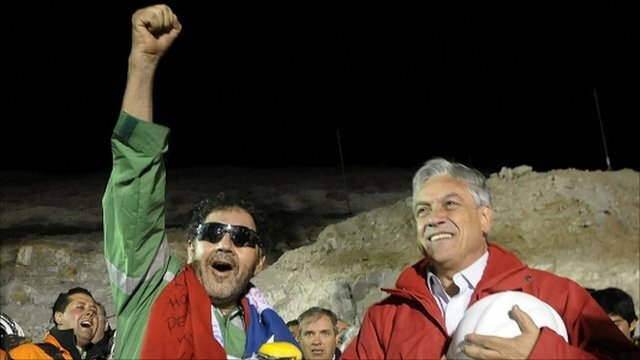 Second Chile miner's euphoria at surface Jump to media player The second miner to be rescued from the San Jose mine in Chile, Mario Sepulveda, handed out rocks to his rescuers from the underground chamber where he has spent 69 days. 12th Chile miner reaches surface Jump to media player The 12th miner to be rescued, Edison Pena, has been greeted by his girlfriend at the surface. 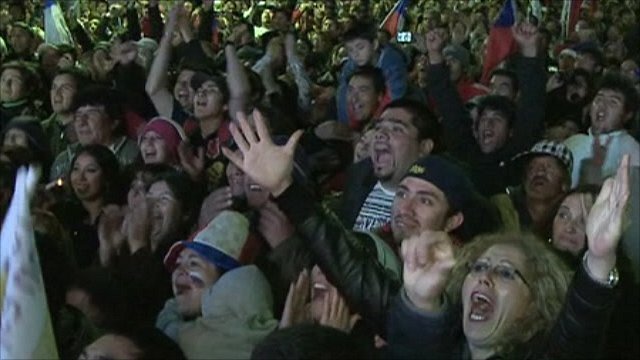 Chileans celebrate miners' release Jump to media player For 69 days the friends and families of the 33 trapped miners made a temporary home for themselves at the San Jose Mine. As their vigil comes to an end, Rajesh Mirchandani reports from the town of Copiapo. 69 days: Miners' long wait for rescue Jump to media player The 33 miners trapped deep underground for 69 days in northern Chile have been rescued, one by one. 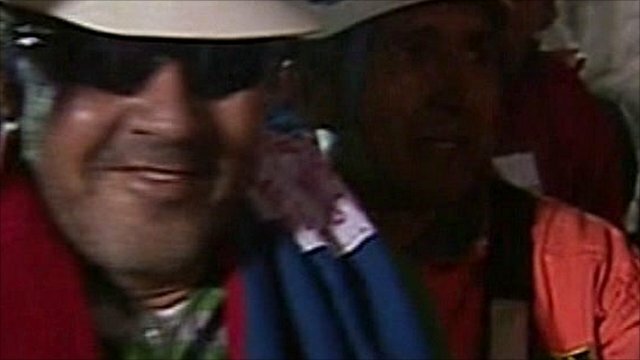 The final miner has been rescued from the San Jose mine in Chile after more than two months trapped underground, amid jubilant celebrations at Camp Hope. 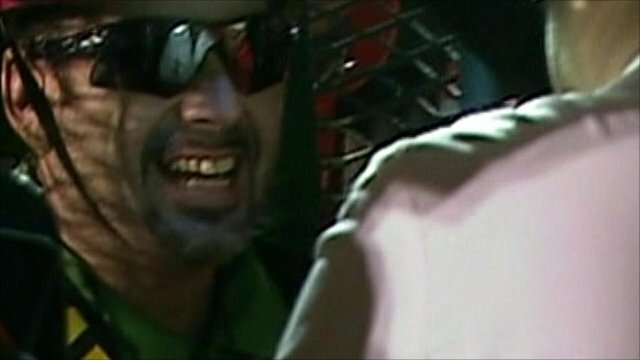 Luis Urzua's rescue marks a successful operation to free all 33 miners who were trapped underground since 5 August, when a rockfall caused a tunnel to collapse. Known as Don Lucho among miners on his shift, Mr Urzua had made maps of the area where they were trapped to aid rescue efforts.